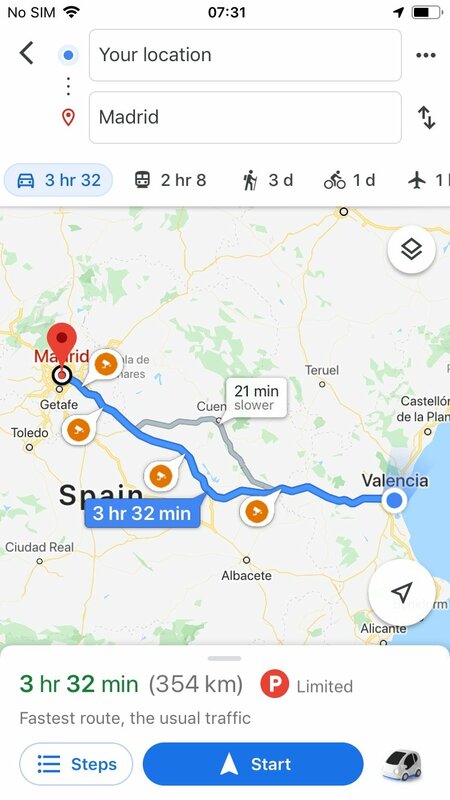 Google Maps is the navigation and maps application by Google, and the most popular application on iPhone and iPad to find directions, get your bearings or simply find out how to get to your destination, using different transport systems, and knowing how long it's going to take you. Discover the world through Google Maps - Navigation & Transit. Travel the world using complete, clear and accurate maps. 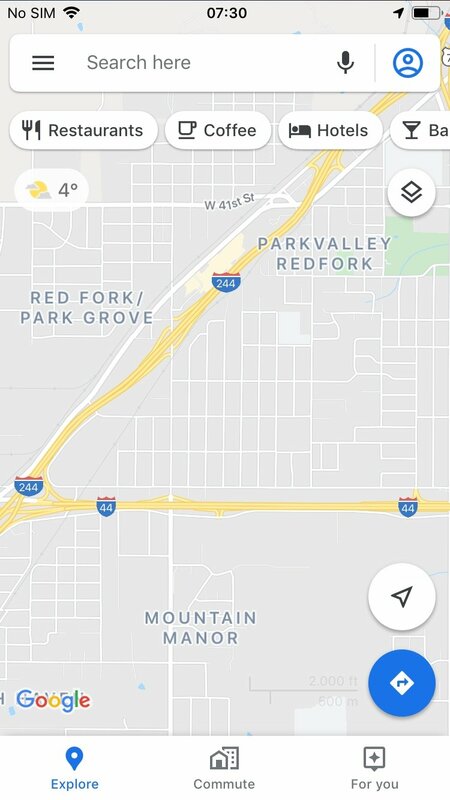 With the navigation system, you can move freely, specify routes and itineraries or use the integrated local search: search for all sorts of indications, see reviews and opinions from other users and sync with your computer. It's an essential app for iOS, but also for Android, as it has already been integrated into thousands of applications thanks to the fact that its API has been made available to any developer who wishes to use it. Public transport and real-time traffic information. "Street View" function with satellite images and 360-degree panorama. Discover and explore interesting nearby places. 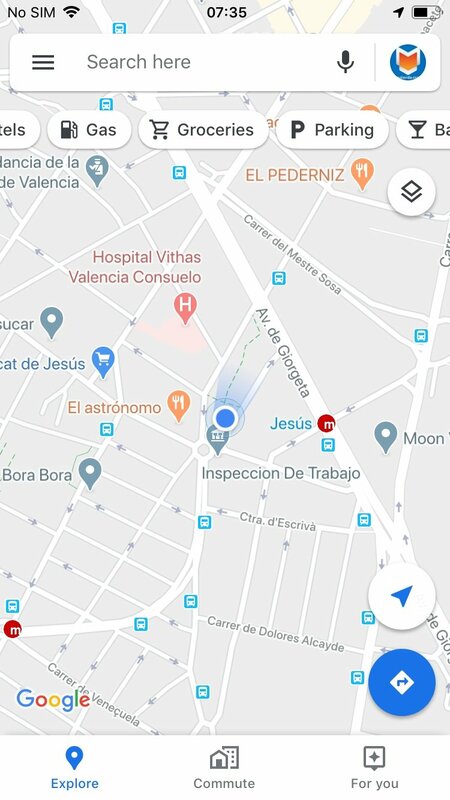 Can you imagine being right next to Jesus' crucifixion spot without even knowing? 3D virtual tours and museums and other interior spaces, such as airports, stadiums, shopping malls, stores, restaurants, etc. 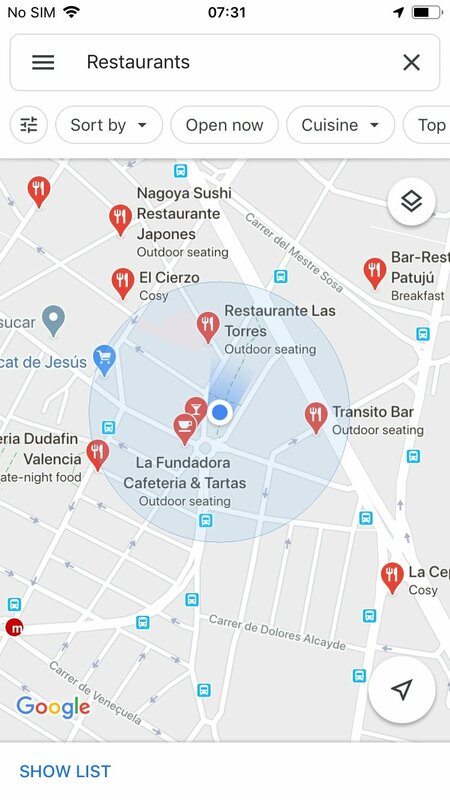 Share your location with other applications, including WhatsApp or Telegram. Detailed maps of over 200 countries and regions. Maps and timetables for the public transport of over 15,000 cities. Locate all sorts of places of interest. Navigation function for when walking or traveling by car or any other vehicle. Use the offline mode to save data. Use the app with or without the GPS enabled. Visit any city in the world from the palm of your hand. Furthermore, it comes along with an option to find your bearing offline if you run out of data, as it allows you to download offline areas. In other words, if you want to travel to New York, Rome, Paris or London, to get around town you only need to download the maps previously. 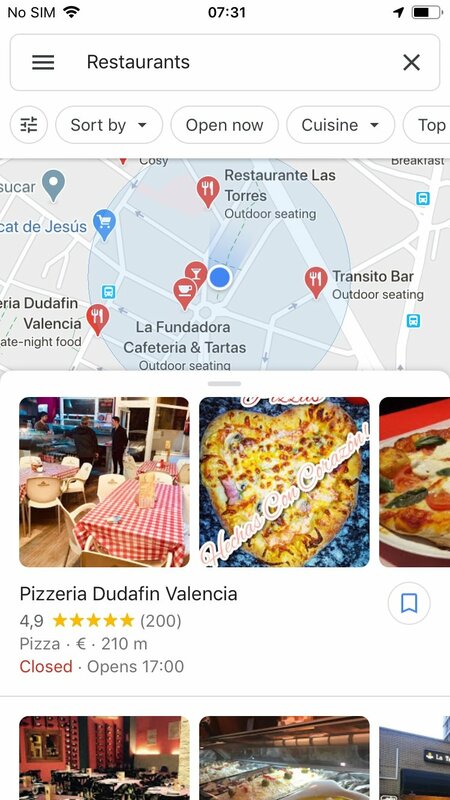 Enjoy the varied and useful services in Google Maps for iOS. Get your bearings with the best mobile mapping and navigation application, fully renovated and updated. Download Google Maps free for iPhone! Correction of bugs to simplify the navigation experience.